1. The Immortal Life of Henrietta Lacks by Rebecca Skloot. From "my shelves" at my library's website.
" Her name was Henrietta Lacks, but scientists know her as HeLa. She was a poor black tobacco farmer whose cells-taken without her knowledge in 1951-became one of the most important tools in medicine, vital for developing the polio vaccine, cloning, gene mapping, and more. Henrietta's cells have been bought and sold by the billions, yet she remains virtually unknown, and her family can't afford health insurance. This phenomenal New York Times bestseller tells a riveting story of the collision between ethics, race, and medicine; of scientific discovery and faith healing; and of a daughter consumed with questions about the mother she never knew. 2. Sunrise on the Battery by Beth Webb Hart. Review Book. "At last, Mary Lynn and Jackson Scoville are living the life they’ve dreamed of. Two self-described “small town bumpkins” from Round O, South Carolina, they made a small fortune selling the little gems of lowcountry real estate Jackson inherited and now they are living in the heart of Charleston, South Carolina, carefully working their way up the social ladder in hopes of meeting their ultimate goal: to give their three daughters the life they themselves never had. But the long-forgotten God of Mary Lynn’s childhood seems to be trying to get her attention in clear and unusual ways. So clear and strange she can no longer deny it. When Mary Lynn prays for Jackson to open his mind and heart to God, her prayers are answered beyond her wildest imaginings. Now Jackson’s dramatic conversion (which includes street witnessing, giving away a lot of money, and inviting poor, desperate and marginalized people into their home) is threatening their social status as well as their family mission statement. Is she willing to go along with him? What would it be like to go “all out” for God? Jackson, a sharp and focused Type A man, is unafraid and willing to go all the way. Mary Lynn has her doubts. 3. Sacred Marriage by Gary Thomas. From the book basket. Heard lots of good things about this one. "The title expresses a radical thought for today's marriages! Chapter by chapter, discover how marriage works to develop Christlike character - forgiveness, love, respect, perseverance - in each of you. This book will enrich your marriage in unexpected ways. A Focus on the Family recommendation." 4. Possession by Rene Gutteridge. From the book basket. "Police detective Vance Graegan quits the force in an attempt to save his marriage. During his family's cross-country relocation, the movers hold his belongings for ransom. He's determined not to let this stunt ruin his family's new beginning, but soon everything begins to unravel in the hands of Vance's past. Will a little boy's innocent faith bring the hope they desperately need?" 5. The Bait of Satan by John Bevere. Study Group book. "Are you ensnared by bitterness, seized by anger, held captive by resentment because someone has offended you? Bevere shows you how to escape Satan's grip, avoid a victim mentality, practice forgiveness, experience reconciliation, and remain free in Christ." 6. Angel Sister by Ann H. Gabhart. A library find. "It is 1936 and Kate Merritt, the middle child of Victor and Nadine, works hard to keep her family together. Her father slowly slips into alcoholism and his business suffers during the Great Depression. As her mother tries to come to grips with their situation and her sisters seem to remain blissfully oblivious to it, it is Kate who must shoulder the emotional load. Who could imagine that a dirty, abandoned little girl named Lorena Birdsong would be just what the Merritts need? In this richly textured novel, award-winning author Ann H. Gabhart reveals the power of true love, the freedom of forgiveness, and the strength to persevere through troubled times." 7. The Wishing Trees by John Shors. A library find. "Almost a year after the death of his wife, Kate, former high-tech executive Ian finds a letter that will change his life. It contains Kate’s final wish – a plea for him to take their ten-year-old daughter, Mattie, on a trip across Asia, through all the countries they had planned to visit to celebrate their fifteenth anniversary.Eager to honor the wife and mother they loved, Ian and Mattie embark on an epic journey that retraces the early days of Ian’s relationship with Kate. Along the way, Ian and Mattie leave paper “wishes” in ancient trees as symbols of their connection to Kate and their dreams for the future. Through incredible landscapes and inspiring people, Ian and Mattie are greeted with miracles large and small. And as they celebrate what Kate meant to them, they begin to find their way back to each other, discovering that healing is possible and that love endures – lessons that Kate hoped to show them all along." 8. How to Bake a Perfect Life by Barbara O'Neal. A library find. In a novel as warm and embracing as a family kitchen, Barbara O’Neal explores the poignant, sometimes complex relationships between mothers and daughters-and the healing magic of homemade bread. Professional baker Ramona Gallagher is a master of an art that has sustained her through the most turbulent times, including a baby at fifteen and an endless family feud. But now Ramona’s bakery threatens to crumble around her. Literally. She’s one water-heater disaster away from losing her grandmother’s rambling Victorian and everything she’s worked so hard to build. When Ramona’s soldier son-in-law is wounded in Afghanistan, her daughter, Sophia, races overseas to be at his side, leaving Ramona as the only suitable guardian for Sophia’s thirteen-year-old stepdaughter, Katie. Heartbroken, Katie feels that she’s being dumped again-this time on the doorstep of a woman out of practice with mothering. Ramona relies upon a special set of tools-patience, persistence, and the reliability of a good recipe-when rebellious Katie arrives. And as she relives her own history of difficult choices, Ramona shares her love of baking with the troubled girl. Slowly, Katie begins to find self-acceptance and a place to call home. And when a man from her past returns to offer a second chance at love, Ramona discovers that even the best recipe tastes better when you add time, care, and a few secret ingredients of your own. 9. The Secret Life of Bees by Sue Monk Kidd. From the book basket.
" Sue Monk Kidd's ravishing debut novel has stolen the hearts of reviewers and readers alike with its strong, assured voice. Set in South Carolina in 1964,The Secret Life of Bees tells the story of Lily Owens, whose life has been shaped around the blurred memory of the afternoon her mother was killed. When Lily's fierce-hearted "stand-in mother," Rosaleen, insults three of the town's fiercest racists, Lily decides they should both escape to Tiburon, South Carolina--a town that holds the secret to her mother's past. There they are taken in by an eccentric trio of black beekeeping sisters who introduce Lily to a mesmerizing world of bees, honey, and the Black Madonna who presides over their household. This is a remarkable story about divine female power and the transforming power of love--a story that women will share and pass on to their daughters for years to come." 10. The Orchard by Jeffrey Stepakoff. A library find. "The passionate new novel by the author of FIREWORKS OVER TOCCOA. Grace Lyndon is a rising ingenue in the world of perfumes and flavors; a stiletto-wearing, work-a-holic in Atlanta, she develops aromas and tastes to enthrall the senses. Dylan Jackson is a widowed single father whose heart and hands have been calloused in the fields of his North Georgia apple farm. When Grace happens to taste an apple picked from Dylan’s trees, it changes both their lives forever. Determined to track down the apple’s origin, Grace sets off in the middle of the night where she finds not only a beautiful mountain orchard in the clouds, but the mysterious man who owns it. In Stepakoff’s heartbreaking eloquence, their sudden yet undeniable attraction is threatened—leaving readers with a momentous finale that proves Jeffrey Stepakoff is a master craftsman of the heart." 11. Faithful by Kim Cash Tate. A blog find from Barbara. "Cydney Sanders thought she knew God's plan for her life. She'd marry, have kids, and then snap her body back into shape by doing Tae Bo. But she's celebrating her fortieth birthday as the maid of honor at her little sister's wedding...and still single. Now her life is suddenly complicated by the best man. He's the opposite of what she wants in a husband...and yet, he keeps defying her expectations. Starting with a lavendar rose--symbolizing enchantment--each rose he sends her reflects his growing love for her. Cydney's best friend Dana appears to have the perfect marriage--until she discovers her husband's affair and her world goes into a tailspin. Then there is Phyllis--who is out of hope and out of prayers after asking God for six long years to help her husband find faith. When she runs into an old friend who is the Christian man she longs for, she's faced with an overwhelming choice. Life-long friends with life-altering struggles. Will they trust God's faithfulness...and find strength to be faithful to Him?" There we have it. What are you reading this fall? I've only heard of three of these. I appreciate the thought you've put into making up your list. I haven't begun to compile mine, but I do know of a couple I will be reading. I have plenty of options with books stacked up to read and a TBR list that will keep me busy for years -- it's just hard to decide which ones to choose. Hope you like Faithful! I've read the Sue Monk Kidd book and enjoyed it. Ah, Susanne. Several of these sound really good. But I have GOT to stop finding out about more books! So I've saved your post for when I've finished the pile on my nightstand. And thanks. I think. Faithful is such a PRETTY book. Looks nice on your bookshelf. I love library "finds." Books seem to jump out at me from there differently than at a bookstore. So you make your book list much like I do: a hodgepodge of sources. ha. I LOVED Sacred Marriage. Hope you do too. I also loved The Secret Life of Bees. You've got a great list, Susanne. Enjoy! Great list! My book club constantly raves about The Immortal Life of Henrietta Lacks - I really need to check that one out sometime! Great list. I read Fireworks Over Tocca and loved it...didn't know the author had another book out. Will definitely be looking for that one. Good luck with your reading! My list is a combo of review books and books that will help me complete the other reading challenges I am participating in. 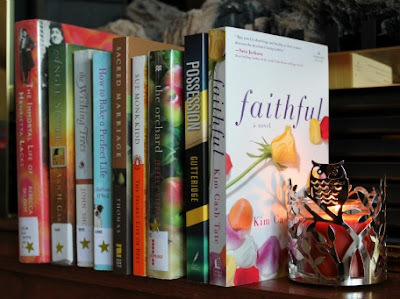 Just added Faithful to my to read list! Good luck with the challenge! I've heard so many good things about The Immortal Life of Henrietta Lacks that I'm just going to have to pick it up. And I loved The Secret Life of Bees. Happy reading! My list is here. Looks great, Susanne! I recently heard a podcast about the Henrietta Lacks story and it sounds fascinating. I need to put that book on my TBR list. 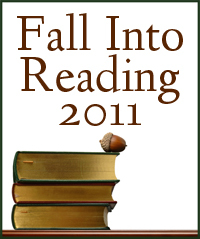 Hope you enjoy all of these in the course of your fall reading! I see a couple of titles I want to check out. Secret Life and How to Bake were both good books. Happy Fall reading. Oh what a nice list! I'd love to know how The Secret Life of Bees goes. I've heard some, but not much, about it. (I think mostly about the movie that came out.) Happy reading! The Henrietta Lacks story sounds intriguing. You have a great sounding list there. Enjoy your fall. Looks like a wonderful book list! I have read a few of these and liked them! Have fun reading this fall! Looks like a great list. I've not heard of any of them so I look forward to hearing your thoughts on them. Good luck. What a great list. Love the pic of your books and that great candle holder with the owl. Enjoy the challenge! good list! OMGosh I LOVED secret life of bees.....i love all her books!! but that one was my fave so far. And let me know what you think of Sacred Marriage. I found it a tough read and never did finish it. I LOVED Sacred Pathways and use it often as a reference for my small group teachings...but the marriage one i just could NOT get into!! 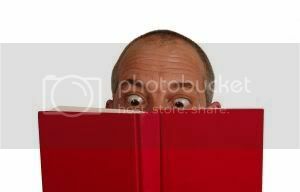 happy reading...am gonna go do my list now. The Orchard was a cute read! I really liked it! The Secret Life of Bees has been on my shelf for far too long! I really should try and get to it soon! 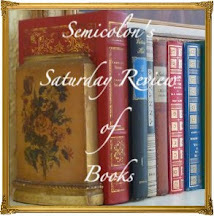 Thanks for stopping by my blog and commenting - you have a great list too! I read Secret Life of Bees last year for a book club, it's a good one! Enjoy your books! Looks like a great list! I'm interested in The Immortal Life of Henrietta Lacks. Hope it's as good as it sounds. "The Secret Life of Bees" is one of my favorites! Looks like a great list. Enjoy your reading! I've read the Henrietta Lacks book and Secret Life of Bees and enjoyed both. I actually just got another book by Sue Monk Kidd but it's not on my Fall reading list. I hope you enjoy your reading! I recently read The Secret Life of Bees, and I loved it. The Mermaid Chair also by Sue Monk Kidd is on my FIR list! The Secret Life of Bees is one of my all-time favorites! I hope you enjoy it. Happy reading!